As a huge fan of a good old Afternoon Tea, Chloe's blog is one of my favourites to read, and I was very honoured when she asked me to write a post for her all about my little project this year. Picture the scene, if you will: A few days before the end of 2013 I was searching for somewhere new and pretty to go for cake to celebrate my impending birthday. 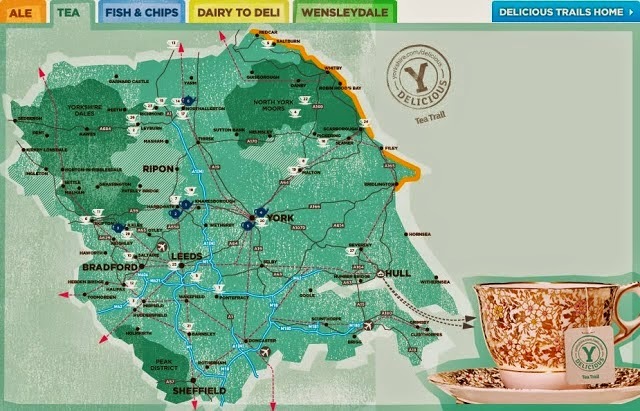 A quick google search for 'great afternoon tea in Yorkshire' led me to this magical discovery: Welcome To Yorkshire's Delicious Tea Trail. 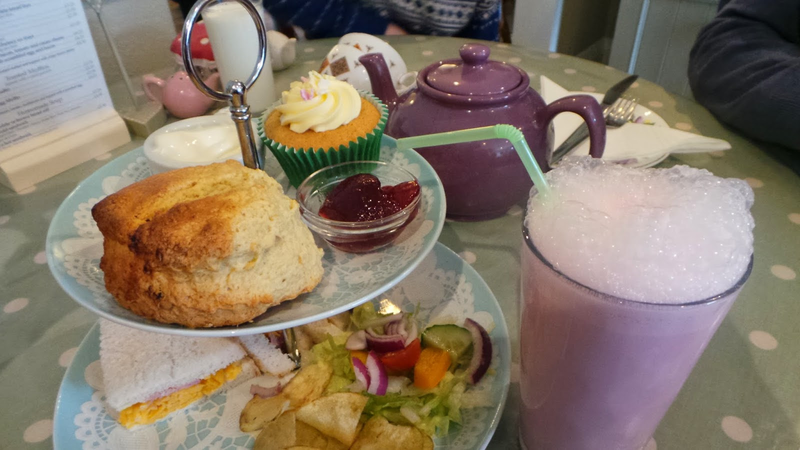 A list of no less than 34 of the county's best tea rooms, hotels and cakes to visit for tea. All of a sudden I had my New Years Resolution - who wants to 'lose weight' or 'be more organised' when instead I could pledge to visits all 34 of these fine establishments over the course of 2014. Now, nearly half way through the year, I'm..... well I'm not half way through the list, but I'm not too far off! And hopefully some time off work in the coming months will help get me all caught up. One of the main problems y'see is that Yorkshire is really big. So a couple of these tea stops are not far off 100 miles from my house and I really have to ask myself, how far is too far for a cup of tea? There have been highs and lows so far - the 'lows' probably best summed up by the 'squirty-cream-scone' debacle of Ikley's Cow and Calf Rocks Cafe, the 'highs' too many to mention but a couple of special commendations are due. 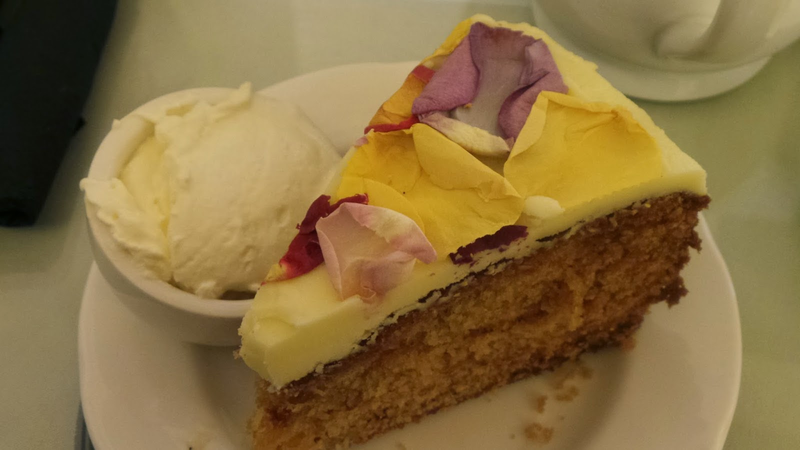 Bettys Cafe is a Yorkshire institution and all six locations are included on my little list. Bettys might have the most 'well-rounded' of the afternoon teas I've come across so far, with well-filled sandwiches and deliciously delicate cakes, but if you are to only ever get one thing from them it has to be the 'Fat Rascal' - a huge fruity scone-type thing, with citrus peel as well as currants for an extra fruity punch and decorated with glacé cherries and almonds. Served warm, with plenty of butter and washed down one of Betty's many delicious tea blends, this is an experience not easily emulated. 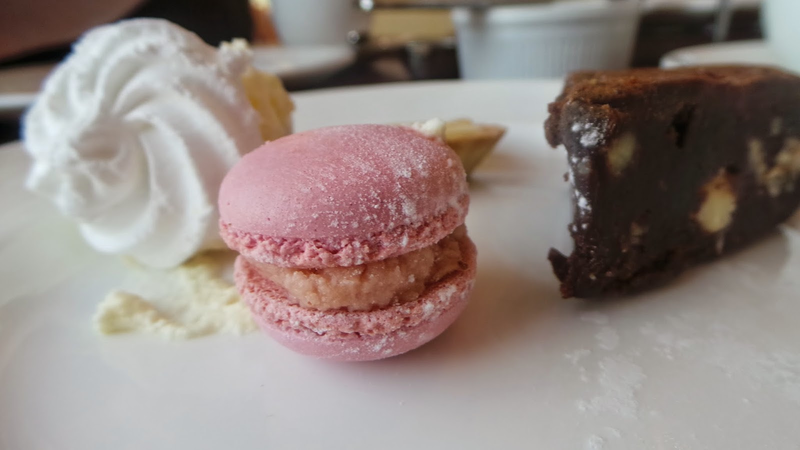 Best scones so far have to go to the the huge things we were presented with at Holdsworth House in Halifax, whereas the best savoury food might have been that found at Northallerton's Lewis and Cooper (though to be fair their cake was pretty special too). So far I've come across adorably cute pastels-and-bunting vintage style cafe's, ridiculously fancy hotel dining rooms, and museum canteens with amazing baked goods. Places that you really would drive for miles just to eat there, and places that would make a decent refreshment stop in one of the regions many beauty spots. And I'm not even half way through. If you are interested you can follow my progress along the Tea Trail over on this bit of my blog, and I'm very happy to answer any questions or meet new tea-buddies! Meet the Writer: Kel writes Adventures in Tea and Cake and loves finding new places for cake as much as I do! You'll find loads more yummy pictures on her blog - just make sure you're not hungry first!